Whether a corporate event, wedding or 21st birthday: We’re on hand to help you plan the transformation of your chosen venue into a stunning backdrop for your occasion. We can even help you choose the venue! Our friendly event planners can be with you every step of the way, making your ideas and visions a reality. We offer a free consultation to help you explore the many ways in which you can make your event one to remember. Ultimately, everything is possible…and our bespoke event production department can create whatever is required to take your guests breath away. If you already have a clear vision and requirements, we can provide the best solutions and logistics to make them a reality. Complete room draping in a wide selection of colours and styles. 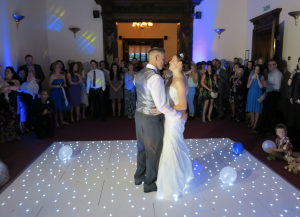 Dance floors, in a wide range of styles to compliment the décor & theme of your event. Venues, from the finest stately homes and hotels, to grand & modern marquee settings. Whatever the occasion, Cream can make the difference. Working with your ideas, we can help you create a unique and memorable event that will leave your guests and clients with a long lasting good impression. We have the ability to assist you turn a blank canvas location into the perfect setting for your night of dining and entertainment. Our event planning services are included free when you utilise our hire packages – giving you complete peace of mind. Make your day unique. A colour scheme and feel that’s tailored to YOU. It’s so easy to transform any space in to a setting that suits your personality and occasion. Our styling team can advise which enhancements will compliment the theme and style you’re looking to achieve. It’s all part of the service! With a dedicated, experienced team we can skilfully transform a bland venue or space into an elegant setting fit for your special day. Bring colour, style, texture and light to a hotel function room, village hall, marquee or barn. 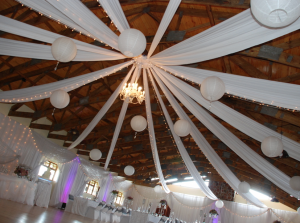 From gentle draping to a full starlight environment we are able to bring your dreams to life.